I've been meaning to pick up MAC Morange for such a long time now, and I must have ranted about it so much as my sister bought me this fantastic dupe for my Birthday; Topshop Lips in Infrared. Its a gorgeous bright red-orange colour which can be used lightly for a hint of colour or built up to its full impact for a big hit of colour. 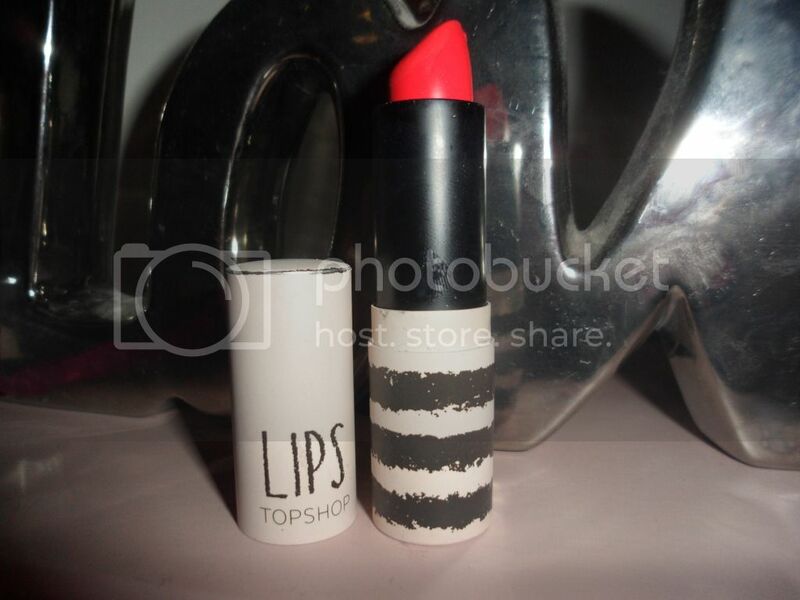 The formulation is actually lovely, not drying and nice and glossy on the lips. I put it on over some vaseline to ensure it did not cling to any dry patches on my lips (yuck!). I much prefer the 'Lips' range to the 'Lip Stick' range from Topshop, the colour range is huge in comparison and the formula is so much better. For just £8, these are a fantastic alternative to MAC Lipsticks at £13.50 a pop. Haha, I think I have funny pigmentation in my lips, nothing ever comes out like the bullet! Yes, I saw that post, that lippie is amazing, looks gorgeous on you and who doesn't love a bit of Kourt-K? !